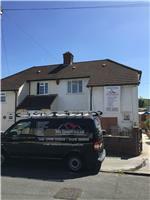 Vata Construction Ltd - Builder, Carpets/Flooring based in Croydon, Surrey. With almost a decade of vast knowledge and experience within the building industry. NO JOB ITS TOO SMALL !! Vata Construction Ltd delivers excellent and honest customer service along jobs finished to a high quality standards and at the same time keeping competitive and affordable prices to the customers. Do not hesitate on contacting for a free quote .